HELENA – Time is running out for the Legislature to decide whether to allow counties in Montana to opt for mail-in ballots for the upcoming special congressional election. Senate Bill 305, which would allow for a mail election, passed the Senate 37-13 in February and gets its first hearing in the House Judiciary Committee on Thursday. Sen. Steve Fitzpatrick, R-Great Falls, said 46 of the state’s 56 counties have adopted a resolution to support the mail-in ballot election proposed by the bill, but it still needs to be signed by Gov. Steve Bullock by April 10 in order to take effect. 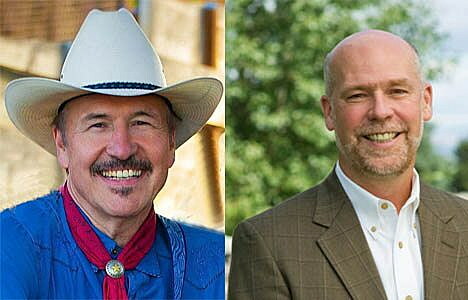 Bullock announced early this month that the special election to fill now Interior Secretary Ryan ZInke’s vacated congressional seat will be held May 25. The bill indicates that the mail ballot plan must be submitted to the Secretary of State at least 45 days prior to the election. Fitzpatrick is carrying the bill and said mail-in ballots could save counties up to $500,000. During debate on the bill last month he also said the percentage of people voting by mail ballot has skyrocketed. “Most people vote by mail, and we don’t have problems with fraud or any of these other things that people think they’re going to get from mail-in ballots,” Fitzpatrick said. House Speaker Austin Knudsen, R-Culbertson, had been a vocal opponent to the bill prior to the bill’s introduction. A spokesperson for Knudsen said the speaker has concerns about the process eliminating choice for some voters and that he questions the security of the ballots. The bill got national attention when Rep. Jeff Essmann, R-Billings, wrote in an email to party leaders that the bill could hurt a Republican’s chances in the election.